Firstly, a giant THANK YOU!! to everyone who attended or donated to the Orphans of the Storm® Benefit Dinner on Monday! It was a great turnout for a great cause. (I was out-bid on some Sox tickets during the silent auction, but that’s okay. Go Cubs!) The pooches below all want to say “Thank you!” too, because they know Orphans of the Storm® will help them find their new forever home. Lindy the two-year-old black Labrador Retriever mix was a little overwhelmed by all of the hustle and bustle going on at the shelter when I first took her out. But even though she started off a little nervous and unsure, she warmed up quickly and even gave my chin a quick doggy kiss when I leaned over to pet her. 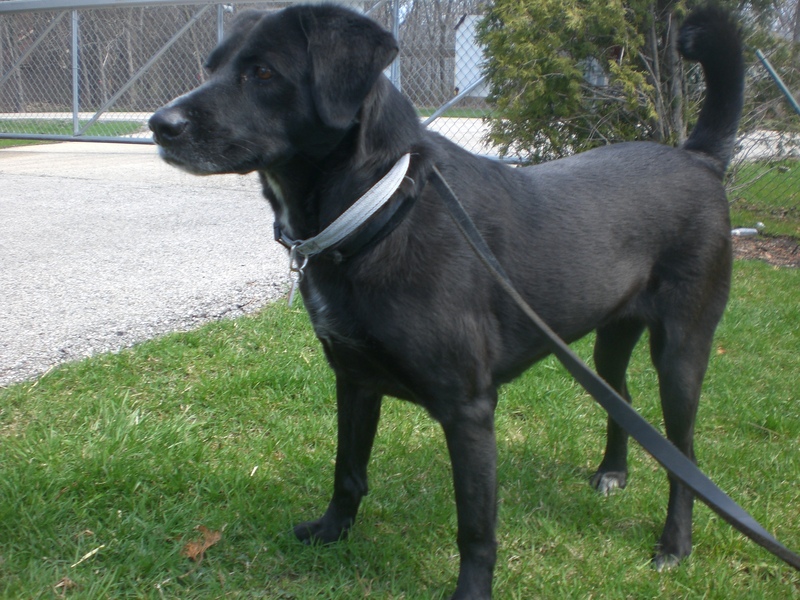 Lindy is great with people, as Labs are known to be, but isn’t such a fan of other dogs (small dogs in particular), so she would like to be the only dog in her new home. That’s perfectly all right, though, because Lindy will make such a loyal, loving companion that she’ll be the only dog you’ll need. Labrador Retrievers aren’t the most popular breed in America for nothing! 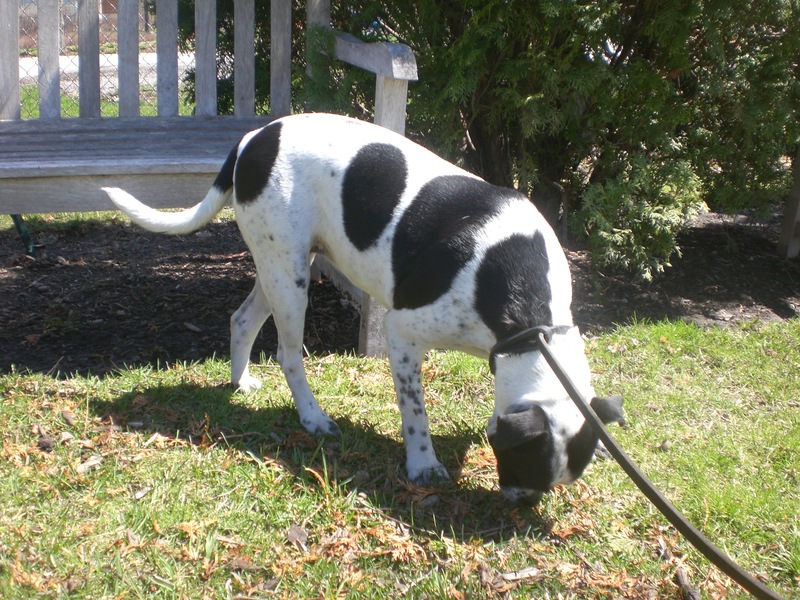 If you think you want to add one to your family, come in soon to meet Lindy! Blackie the one-year-old black Labrador Retriever mix probably has some Shepherd or other longer-haired breed in him as well (he looked like he could use a brushing). This sweet boy was just laying on his tummy with his nose pressed against the door to his kennel, and wagged his tail enthusiastically whenever someone stopped to say hello to him. Considering he’s so young, I was impressed by how calm he was! 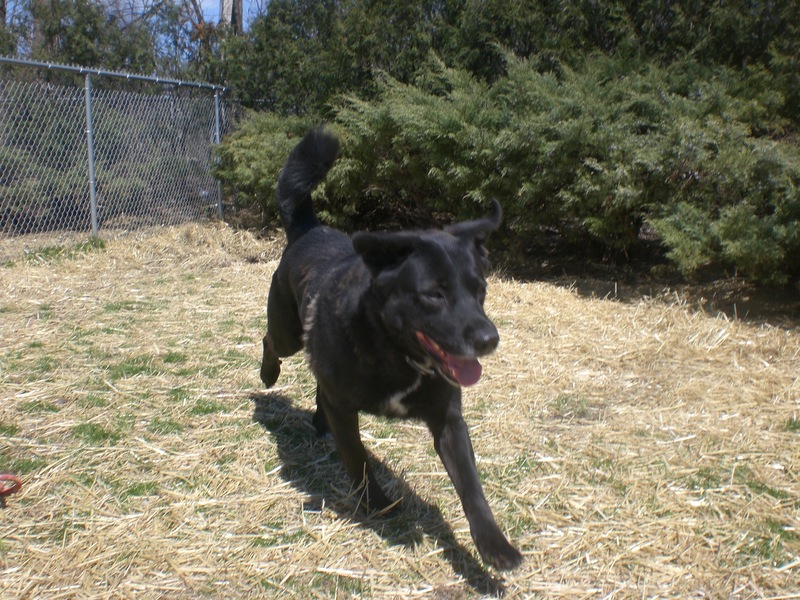 Blackie was a little more energetic once he got to play in the off-leash run, though. He was running and sniffing and so happy to be outside and playing. It was hard to get a non-blurry picture of him because he was enjoying the yard so much. 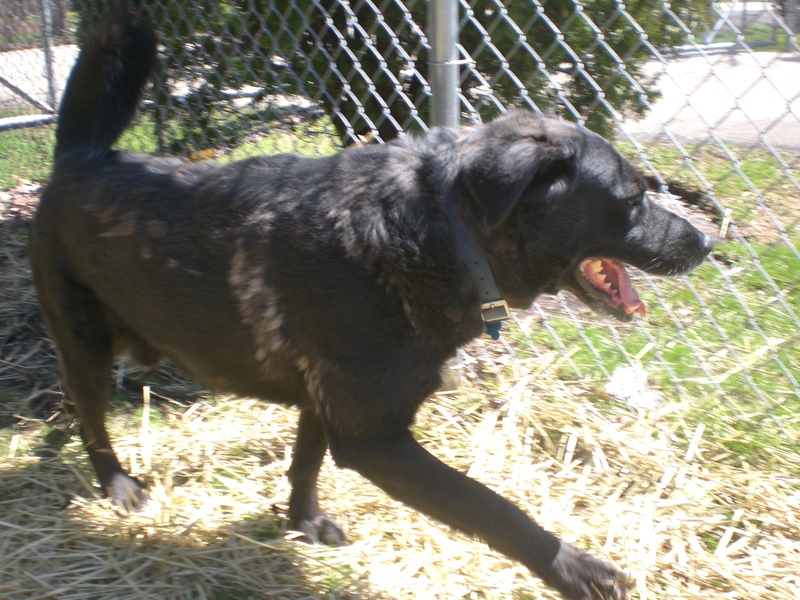 If you have a fenced-in yard, Blackie would be thrilled! If you don’t, that’s all right–he’ll be equally thrilled to accompany you on nice walks. 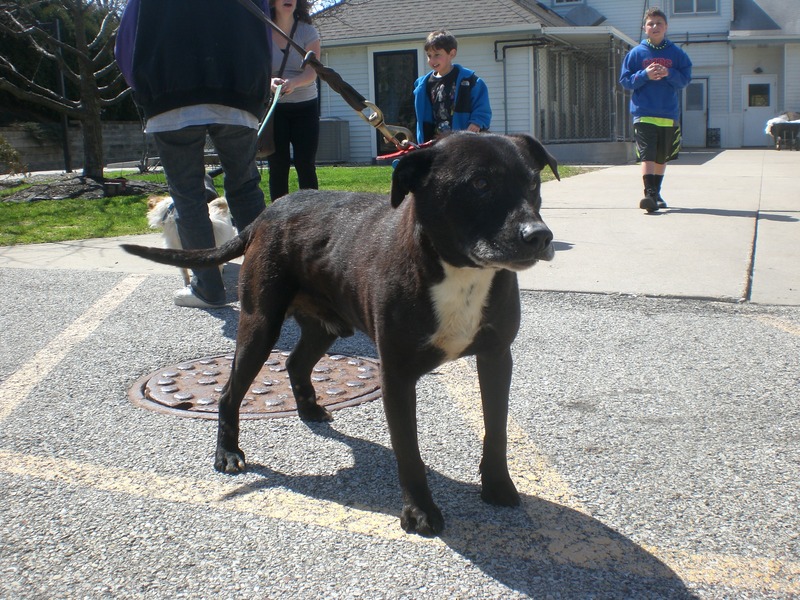 An adorable pooch like Blackie won’t be at the shelter for long, so stop by and say hello to him! 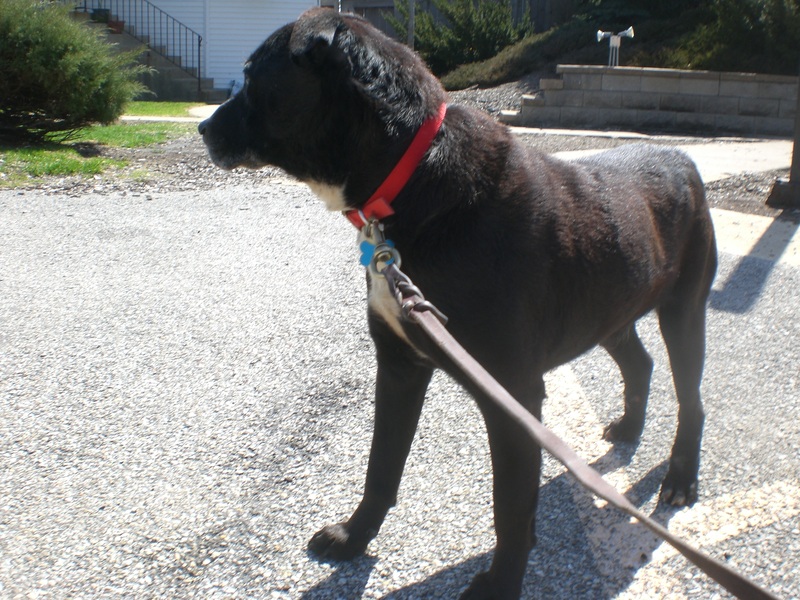 Midnight the eleven-year-old black Labrador Retriever mix could pass as a puppy. I honestly thought he was a puppy when I first saw him, because he doesn’t have any gray on his face yet and he’s much, much, much smaller than your usual full-grown Black Lab. He is a senior dog, though, and would appreciate a family welcoming him into their home so he can enjoy his golden years. Midnight, like Lindy, was a little bit nervous at first. Once he gets to know you, though, he turns into a total lapdog. I sat down on a bench and he put his front paws right up on top of my legs and stood there while I scratched his chin. When another volunteer sat on the ground, Midnight plopped right down into her lap like he was meant to be there. Good cuddle buddy? I think so! As with last week when I had one non-Hound (Toby) in my Hound post, I thought I’d add a non-Lab for a little variety this week. 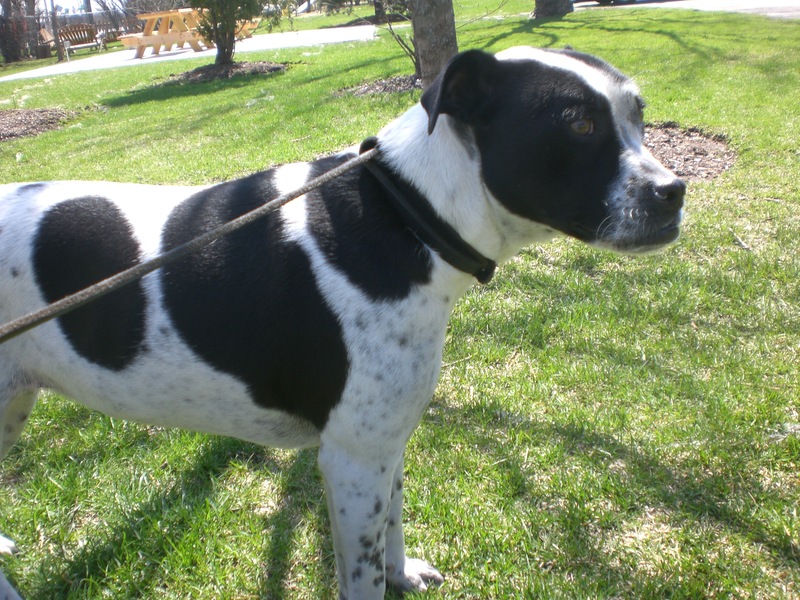 Sasha the five-year-old Australian Cattle Dog mix is just adorable. She has a bit of an underbite, which gives her a bit of a tough look sometimes, but Sasha is a big softy! She enjoys the company of both people and other dogs. Sasha also seems like she is already well-trained. If I stopped walking for some reason, she would sit right down and wait. I would tell her, “Good sit!” so she knows to keep doing what she’s doing. Her tail is always wagging, and she’s another dog who sometimes looks like she’s smiling at you. She’s sure to make her new family smile! 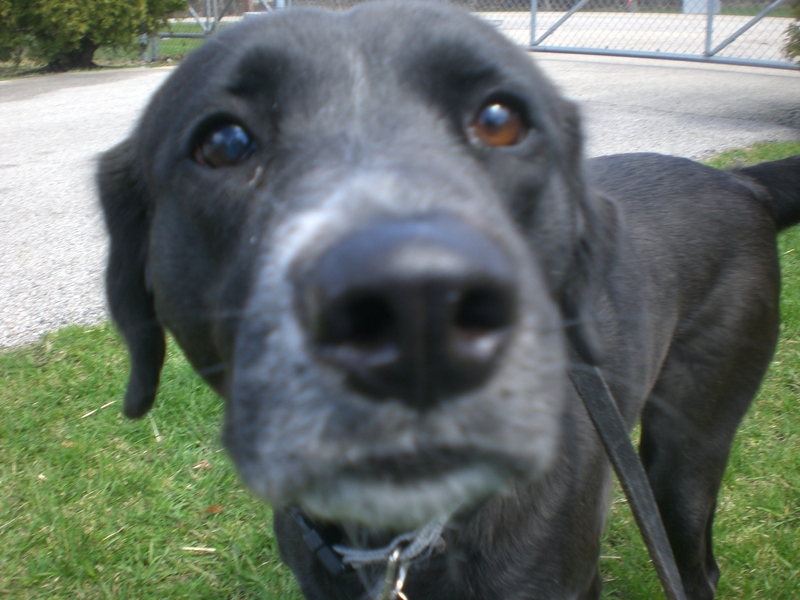 I also spent some time with Winter again, who is just one of the best walking buddies you will find at the shelter. The only time she pulls is when we get close to the gate, because she wants to go for a longer walk. The rest of the time, though, she’s perfect. She also learned to go over the agility bridge (though she stopped in the middle and covered my face in doggy kisses before going down the other side, but there’s nothing wrong with that!). If you’re a one-dog type of family, consider Winter! Posted by Meet the Pooches on April 25, 2013 in Dog Profiles and tagged adoption, animal shelter, animals, Australian Cattle Dog, dogs, Labrador Retriever, Orphans of the Storm, pets.